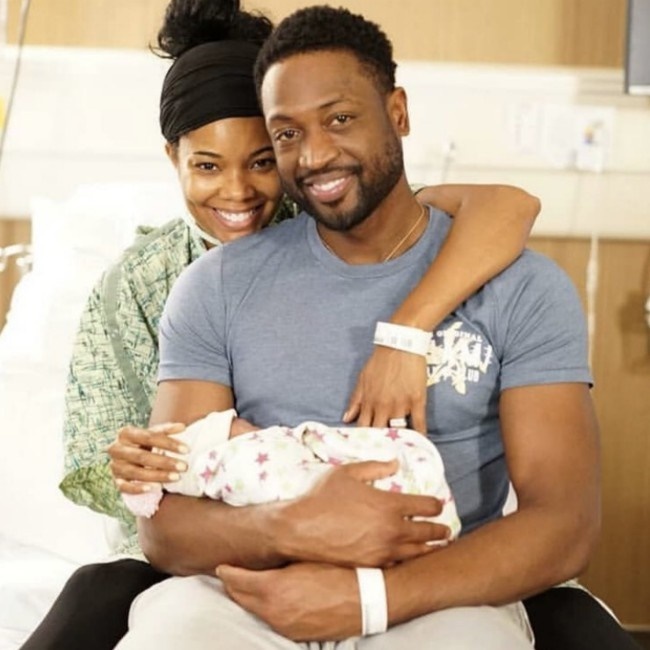 Gabrielle Union, Dwayne Wade Welcome First Baby Together . Gabrielle Union, Dwayne Wade welcome first baby together. American actress and author, Gabrielle Union and her husband, Dwayne Wade have welcomed a baby girl through a surrogate. The 46-year-old shared the news on social media with adorable photos of her and basketball player husband holding their first baby together. The name of the baby has yet to be revealed.